They travel by motor ships, rafts and kayaks on this river. Along its banks - on bicycles and cars.Some people come here with tents to fish and swim.Others – to walk along the walls of ancient kremlin, listen to the bells of monasteries and cathedrals. The third ones want to see that landscapes about which Levitan and Polenov wrote, and that places where Tarkovsky grew up. We tell in details what to do and what to see while traveling along the Volga. 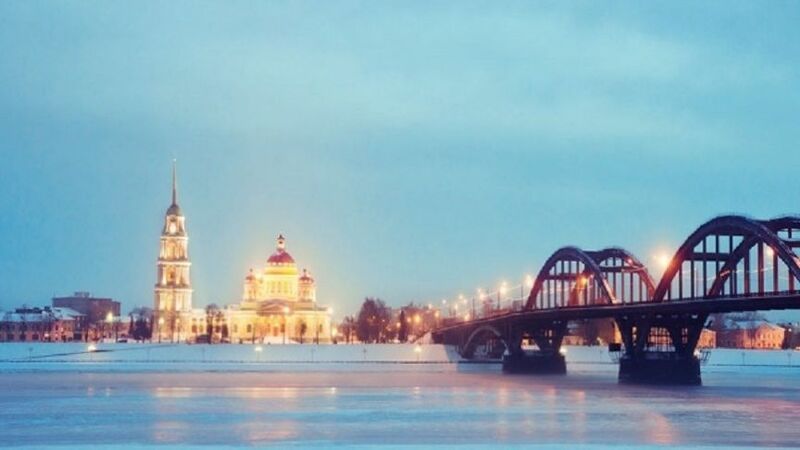 In the process of building of the Uglich reservoir, this ancient town was decided to be half flooded. Stone houses in the historical center were dismantled, and the temple was blown up. Only the bell tower was preserved, from which they wanted to make a lighthouse. There are legends that before the important historical events the bell begins to ring by itself. Another symbol of the city is a huge radio telescope, which belongs to the Kalyazin Radio Astronomy Observatory, which was built in 1990 and is one of the largest in Russia. 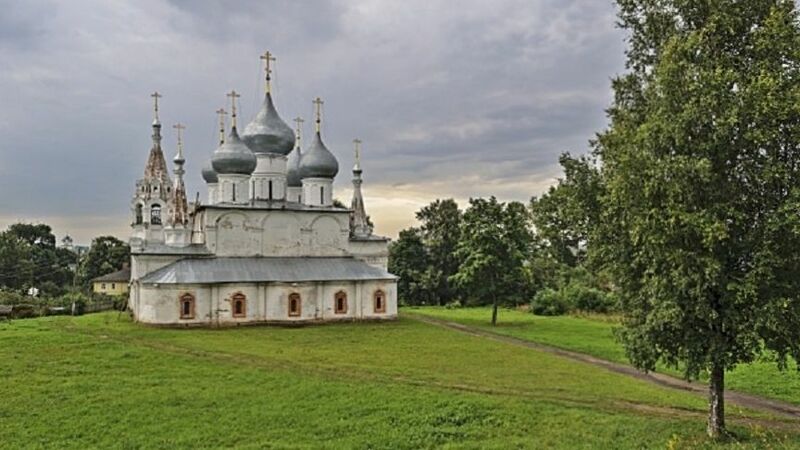 To get acquainted with the history of Kalyazin, it is worth visiting the museum of local history where the relics of the overpast Holy Trinity Monastery and curious objects of everyday life from rich merchant houses. And after reaching the city bazaar, where they trade traditional Russian pies, kvass and souvenirs: wooden hand-made articles, lace and various fancy articles, up to wedding boots. From the school program, everyone knows that the town of Uglich played an important role in Russian history: precisely here, playing "the knives", tsarevich Dmitriy, the youngest son of Ivan Hroznyy, has died (or was still killed? ), in the result of which the dynasty of the Rurik ceased. Now the tsarevich's chambers is the oldest preserved part of the Uglich Kremlin. The red and white church of Dimitri on blood reminds about Dmitry's death. There are many other interesting places in the city: two women's monasteries - Alekseevsky and Bogoyavlensky, one man's - Resurrection, several ancient churches and cathedrals, including Spaso-Preobrazhensky and Bogoyavlensky. In addition to Russian architecture and Orthodox shrines, there are very interesting museums in the city: a cozy museum of urban life of the XIX century, a purely local "Legends of Uglich", and also - unexpectedly - a super modern hydropower museum with models of HPS. You must obligatorily to walk along the banks of the Volga and try the local cheese - one of the best in Russia. 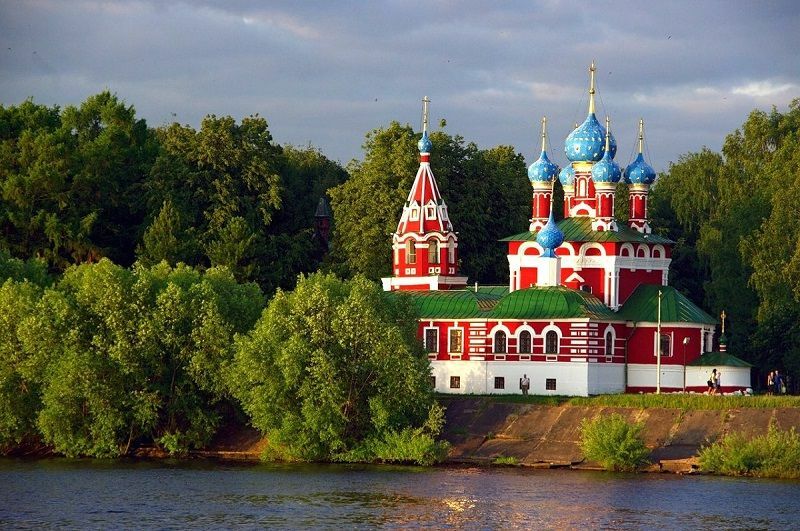 The city of Myshkin, located a hundred kilometers from Yaroslavl, is called "the city of ten museums". Indeed, in this small (less than six thousand inhabitants) town of museums, there are so many museums that this amount would be enough for a larger settlement. There are the museum of boots, and the museum of Myshkin pilots (at that time they were considered the best on the Volga, and the glory of them walked across Russia), and the museum of vodka (from Myshkin native Petr Smirnov, founder of the order of the vodka brand), and retro museum - equipment, and a historical and ethnographic museum in the open air, and, of course, the Mouse Museum. So Myshkin in some sense is one giant museum. 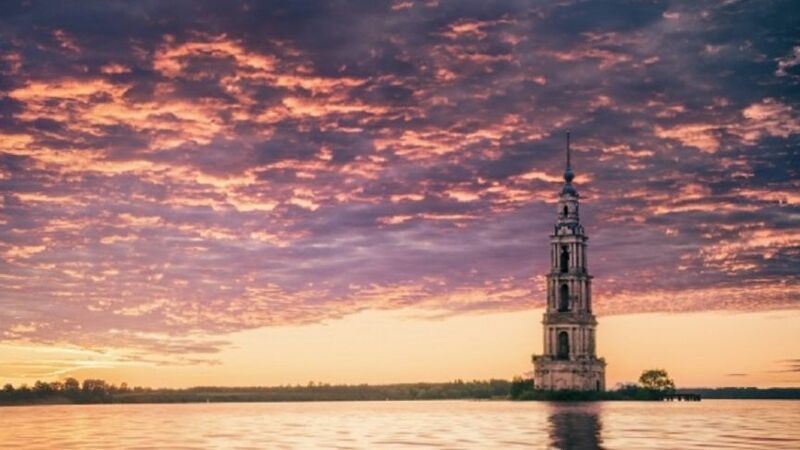 Residents of the city are proud of the fact that both in the way of life and in the appearance of the historical center it is a typical "eternal", timeless provincial city of Russia. All the new buildings are on the outskirts, and the center looks as if they are gathering at the samovar in the evenings and drinking tea from a saucer, in a merchant's way. In the past the local fishermen spoiled Moscow Court with sturgeon and sterlet. So after this place the name of Rybnaya Sloboda was determined and later the fishing village finally received the status of the city. When the capital was moved to Saint-Petersburg, Rybinsk has become an important transit point. It was easy to get seasonal work for loaders and boatmen, who dragged the ship in shallow water. In honor of the 200th anniversary of the city even a monument to a burlac on the Volga was installed. The numerous shopping mansions, shopping arcades, the buildings of the old and new grain exchanges (the last one is the Rybinsk State Historical, Architectural and Art Museum Reserve) remind about the rich trading past of the district town. The symbol of the city is the Spaso-Preobrazhensky Cathedral, which is often called the "small Isaak", because it was built by St. Petersburg’s architects who, according to rumors, realised here the original project of St. Isaac's Cathedral. Rybinsk reservoir with hydroelectric power station were built in Soviet times to create sea links with the Baltic and Moscow river, and in the result several surrounding villages and the ancient city Mologa had to be flooded. 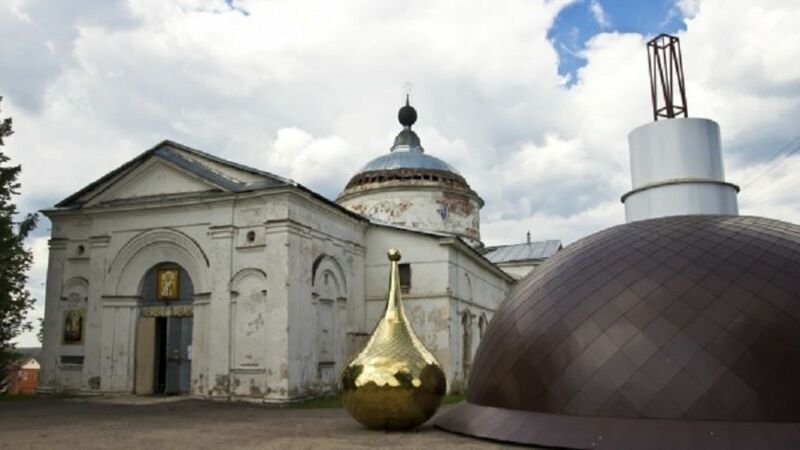 Tutaev is called a museum in the open air and a "pearl on the Volga", it is included in the Golden Ring of Russia and is a stopping point for cruise ships. However, the most often people come here no more than on one day, and it's a pity, because in a relatively small (41 thousand inhabitants) the town has surprisingly many sights. These are churches with cathedrals, and old merchant houses, and entertaining museums, for example, "Provincial Bank" with the apartment of the bank manager. The main street is Kustodievsky Boulevard, whose name is given for a reason: the famous Russian artist Romanov-Borisoglebsk was very fond of it (Tutayev emerged as a result of the merger of two townships on the Volga - Romanov and Borisoglebsk) and was inspired by this city creating canvases about the life of the Russian province. A sight out of the general picture is the Park of the Soviet period, broken several years ago, recreating the atmosphere of the Soviet recreation park with gypsum pioneers and girls with oars. 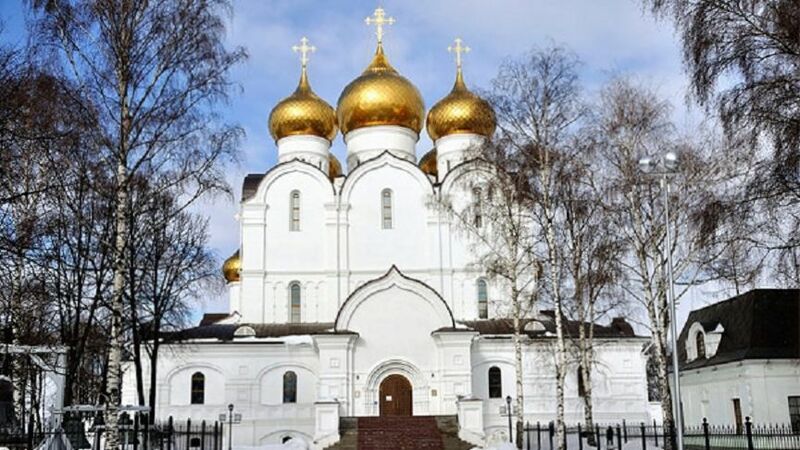 Yaroslavl Region is the most famous province of Russia, and its capital is the richest city of the Golden Ring. In the past it was called "the city of a hundred churches", but now there are only thirty left, and all you can see in one visit. And in the summer, when the flower beds are blooming, and early autumn, when the leaves begin to turn into yellow colour, it's surprisingly pleasant to walk along these streets. Here it is worth to climb the belfry of the Yaroslavl Kremlin (from there an excellent panorama opens), walk along the intersection of Volga and Kotorosli - a giant sand shoal, to see sights connected with cinema and literature - the places where the films "The Thief", "Doctor Zhivago" and " Crew " were shooting, to go to the theater (tickets can be booked in advance via the Internet).